MilitaryByOwner Advertising works to serve you, from helping you create the best advertisement for your home to finding the perfect home to even guiding you through the woes of moving. Just by following our blog, you have the comfort of knowing you are not alone. You can learn about potential duty stations, gain advice from people who've been in your shoes, and have countless property listings at your fingertips. But did you know about MilitaryByOwner's free downloadable PCS e-books? Recently, MilitaryByOwner has published five e-books focused on addressing military PCS moves. These are free to download and are provided to help make your next PCS easier than ever. Here's a quick overview of each, along with links to download. Our first PCS E-Book covers the foundation for each of your military moves. This resource provides tips and checklists for creating a moving budget, selling your home, steps to list your home for renting, and much more. This second e-book addresses the details involved with moving to a new area. Included are checklists to complete the weeks prior to and after your next move, tips for helping your children transition, learning how to research schools and neighborhoods at your next duty station, when to list your home for sale or rent, weighing the pros and cons to moving yourself, and a great deal more. Bloom Where PCS Plants You! 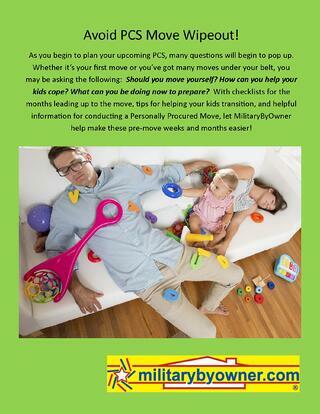 Our third available PCS e-book provides readers with checklists to use for the early days of a PCS move. For example, the writers discuss important items not to be forgotten during moving week, moving day itself, early days after the move and how to get settled in, and prepping your home for move in. We all know that moving is stressful and things go wrong all the time. To take a lighter look at the challenges of PCS, MilitaryByOwner released the PCS e-book You Gotta Laugh: Funny PCS Stories That We Had to Share. Sometimes, laughing is all you can do! This e-book was designed to brighten your spirits and see how these wonderful spouses made the absolute best of unfortunate situations. Moving within the continental United States gets easier as you do it more frequently, but overseas moves are less common and can be more difficult to get a handle on. 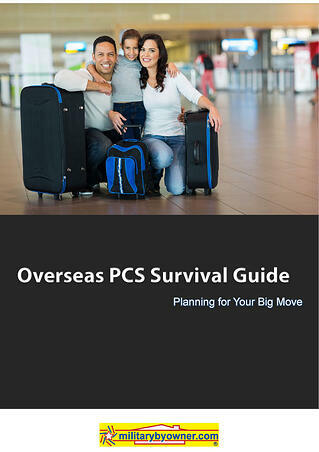 That's why our most recent PCS e-book dives head first into preparing for a PCS move overseas. 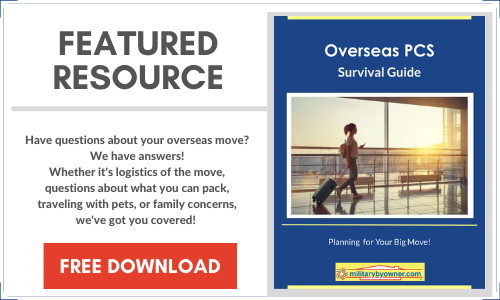 Just like it sounds, this e-book is designed to answer questions about moving across the ocean, and addresses issues like how to prepare a moving budget for an extreme move, concerns about pets, how to downsize your belongings, the uncertainties of moving overseas with children, military spouse employment overseas, and many more topics. What are you waiting for? 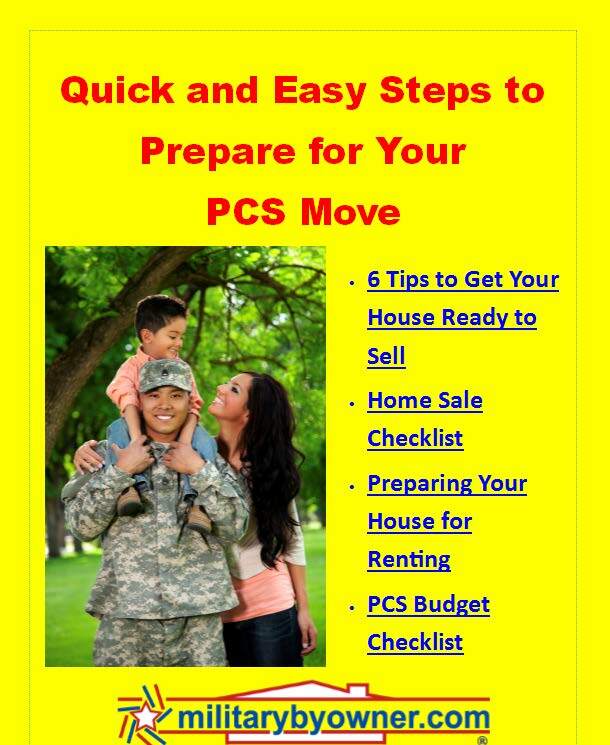 Download your free copy of each of MilitaryByOwner's PCS E-Books as you prepare for your next move with the military!